Stephen Curry and the Golden State Warriors matched one record set by Michael Jordan's Chicago Bulls as they close in on the bigger mark. 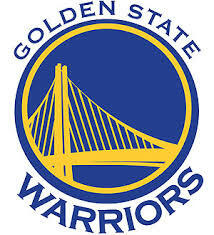 Curry scored 33 points in his return from an ankle injury and the Warriors tied Chicago's NBA record by winning their 44th straight regular-season home game, 121-106 over the Oklahoma City Thunder on Thursday night. Kevin Durant scored 32 points, Russell Westbrook had 22 and Serge Ibaka added 20 for the Thunder, who have lost six of eight since the All-Star break. Klay Thompson scored 21 for the Warriors, and Shaun Livingston provided 11 points, eight assists and tough defense on Durant off the bench. The Bulls won 44 consecutive home games from March 30, 1995, until April 4, 1996. That helped them set the record with 72 wins in 1995-96, a mark the Warriors remain on pace to surpass after beating the Thunder for the third time in as many tries this season.